Converse is giving their classic Chuck Taylor 70s Hi silhouette a new look for the upcoming season with this “Wool” Pack. 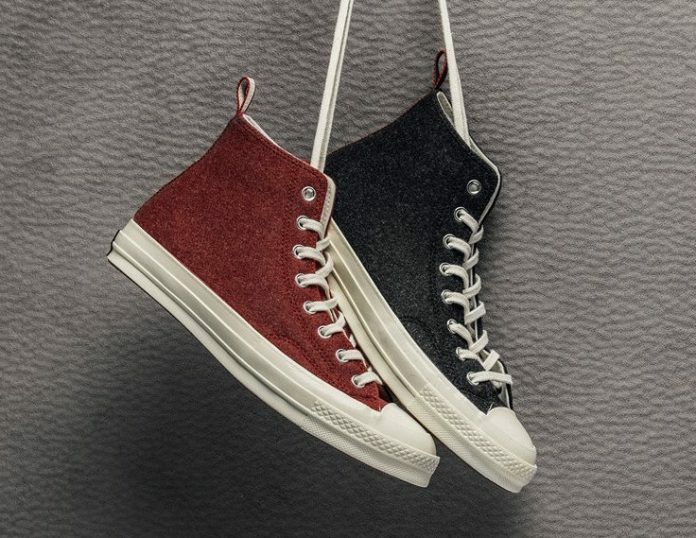 The latest iteration of the Converse Chuck Taylor comes dressed in a Terra Red and Black color options both constructed with wool uppers paired with White midsole and striped detailing at the heel. Other details include rubber foxing along the soles, added cushioning on the insole with the brands signature vintage license plate tabs on the heels. You can now find the Converse Chuck Taylor Wool Pack available at select retailers such as Feature. The retail price tag is set at $95 USD each.